For a manufacturing company, workflow efficiency is essential: doing training for supervisors and managers is a necessary tradition to keep up with production demands. 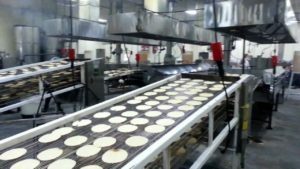 For this tortilla manufacturer, a regular supervisory and leadership training turned into a reality check when they noticed that their mistakes were not only affecting their efficiency but costing them their profit, and inhibiting them from reaching their full potential. In the class called “Improving Processes,” the trainer brings in employees from all sectors and levels to discuss the main issues the company was facing. Together, the team organised significant problems by priority and economic impact. Listed at the top was the most wasteful processes throughout the whole company; when raw materials and products were being stored, when materials were moved, and during production and packaging. Employees tend to make careless mistakes not realizing that the cumulation leads to large amounts of costly waste reducing the company’s profitability. After bringing in their accounting expert, the team calculated that this problem alone was costing the company approximately $50,000 per month ($600,000 a year). Presenting the problem with a dollar value, allowed the employees to finally comprehend how simple mistakes add up and encouraged them to come together to find solutions with the trainer. The group was divided into small subgroups according to their departments and were taught how to generate ideas to solve and reduce waste problems. They had to find positive solutions to counteract the waste and estimate the potential ROI. About a month passed, and the trainer returned to his students to find that many of the ideas taken from the class had been implemented, and it was estimated that the waste had reduced by 20%, this means that if they continued to do these actions, they could save almost $120,000 per year. This is an example of how a well-designed training program combined with the high motivation of employees who want to change, can have a lasting positive economic impact for a company, generating a significant return on investment. Participants learned to be better people and leaders, but more importantly, they became problem solvers who are now ready to face any obstacle in and out of the workplace with the right attitude to succeed. 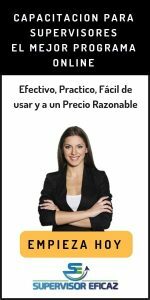 If you are interested in experiencing similar outcome and learning about my ON-SITE and ONLINE programs for Hispanic supervisors, in Spanish, please visit my website at https://betteremployees.net, or if you prefer, contact me at (714) 516-1111. I would like to learn about the specific situations your employees are having trouble with to see how I can help you.